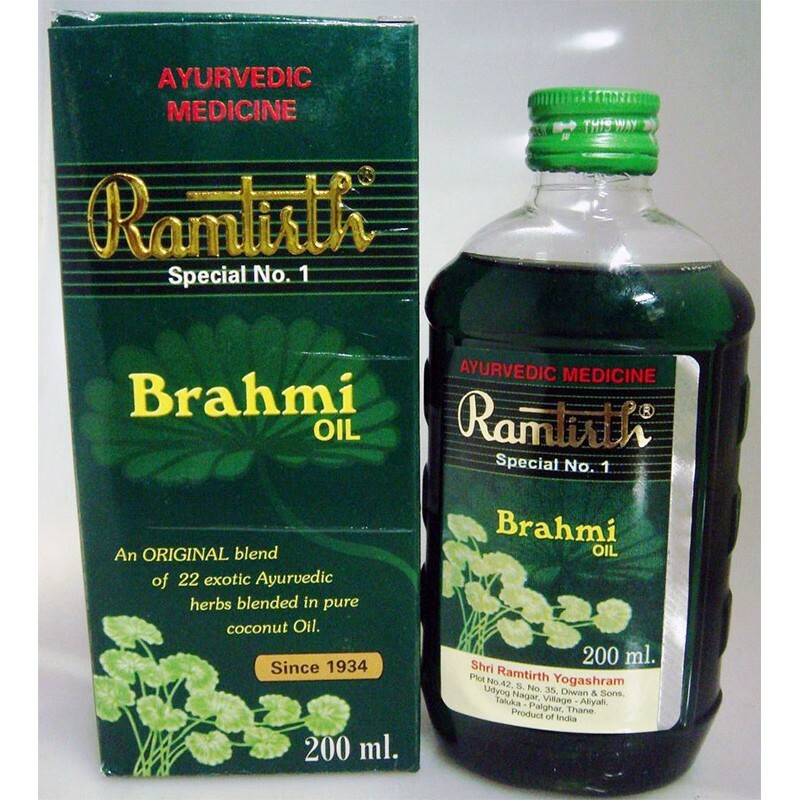 Ramtirth Brahmi Oil is a mixture of pure coconut oil and 22 selected natural herbs. It is produced scientifically according to an ancient formula keeping in view the medicinal values of the ingredients, and quality and purity of the product. Ramtirth Brahmi Oil promotes the growth of long and lustrous black hair and provides sound sleep. It helps in curing dandruff, burning of eyes and joint pain. Ramtirth Brahmi Oil is currently a leading brand in many countries and is a success due to its consistent high quality.